British Prime Minister Theresa May will ask Queen Elizabeth for permission to form a government on Friday after an election debacle that saw her Conservative Party lose its parliamentary majority days before talks on Britain’s EU departure are due to begin. Confident of securing a sweeping victory, May had called the snap election to strengthen her hand in the European Union divorce talks. But in one of the most sensational nights in British electoral history, a resurgent Labour Party denied her an outright win, throwing the country into political turmoil as no clear winner emerged. May’s Labour rival Jeremy Corbyn, once written off by his opponents as a no-hoper, said May should step down and he wanted to form a minority government. But May, facing scorn for running a lackluster campaign, was determined to hang on. A spokesman for her office said she would go to Buckingham Palace to ask Queen Elizabeth for permission to form a government – a formality under the British system. Sky News reported that Northern Ireland’s Democratic Unionist Party (DUP) would back her, allowing the Conservatives to reach the 326 seats needed for a parliamentary majority. The DUP declined to comment. With 649 of 650 seats declared, the Conservatives had won 318 seats and Labour 261. The DUP, which took 10 seats, was considering an arrangement which would involve it supporting a Conservative minority government on key votes in parliament but not forming a formal coalition, Sky said. “If … the Conservative Party has won the most seats and probably the most votes then it will be incumbent on us to ensure that we have that period of stability and that is exactly what we will do,” a grim-faced May said after winning her own parliamentary seat of Maidenhead, near London. 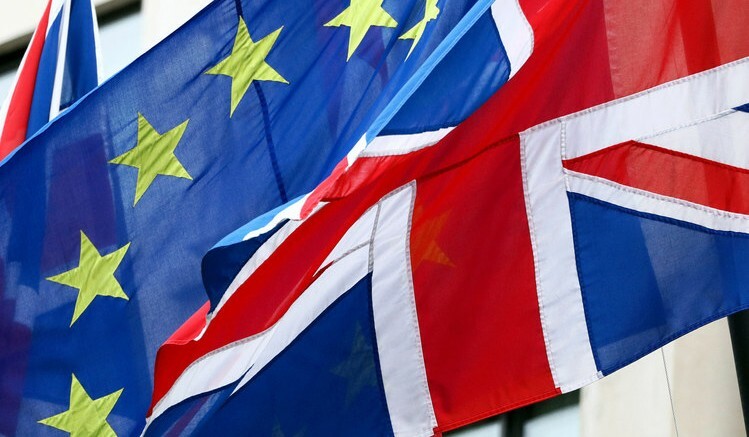 But with complex talks on Britain’s divorce from the EU due to start in 10 days, it was unclear what their direction would now be and if the so-called “Hard Brexit” taking Britain out of a single market could still be pursued. After winning his own seat in north London, Corbyn said May’s attempt to win a bigger mandate had backfired. “The mandate she’s got is lost Conservative seats, lost votes, lost support and lost confidence,” he said. “Our position is very clear, we want a jobs-first Brexit, therefore the most important thing is the trade deal with Europe,” he said. Be the first to comment on "May to Try to Form Government After UK Election Debacle, Uncertainty Over Brexit Talks"